Disney/Marvel isn't wasting time setting up Phase 3 of its Cinematic Universe. The studio announced today (1-29-14) that Craig Kyle, one of the execs who brought 2011's 'Thor' and 2013's 'Thor: The Dark World' to the screen, will co-write Thor's third solo outing. 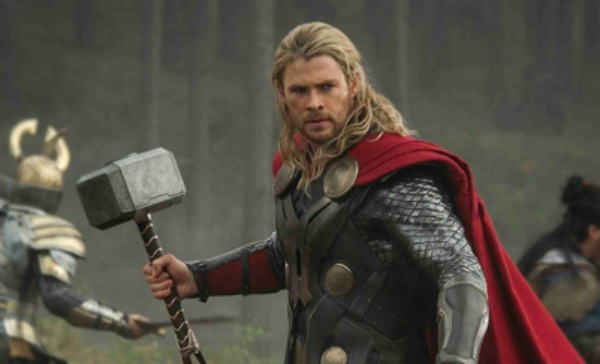 As of 1-29-14, Marvel hasn't revealed any details for 'Thor 3' and the opening date is unknown. Even though the opening date is a mystery right now, it's a safe bet to expect 'Thor 3' sometime in 2016. Last year, Chris Hemsworth and director Alan Taylor talked about what might be in Thor's future. Need more info? Check Marvel's press release via the Tweet below. Yay! I didn't doubt for a second there would be a third one but this is great news!